Established in 1842 by Bishop Levi S. Ives. Reorganized in 1895 by Bishop J. B. Cheshire. Location. 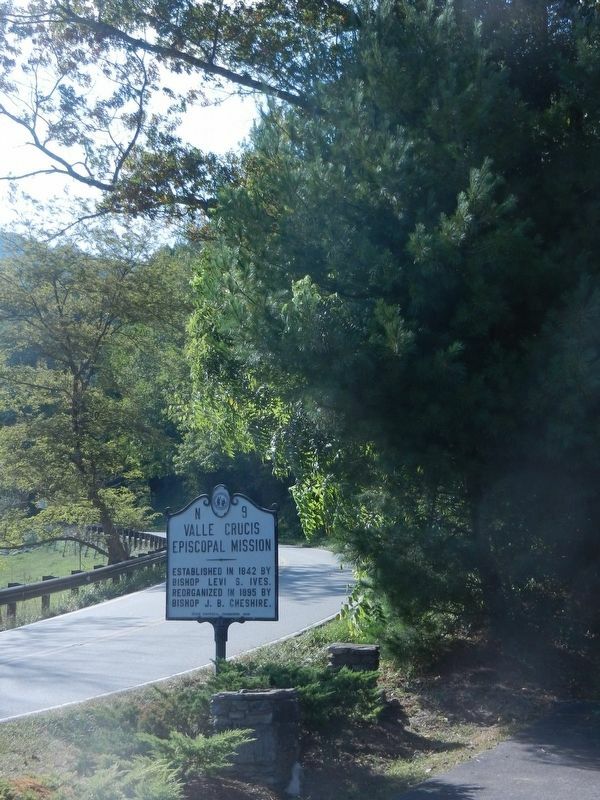 36° 11.823′ N, 81° 47.367′ W. Marker is in Valle Crucis, North Carolina, in Watauga County. Marker is at the intersection of State Highway 194 and Skiles Road, on the right when traveling west on State Highway 194. Touch for map. 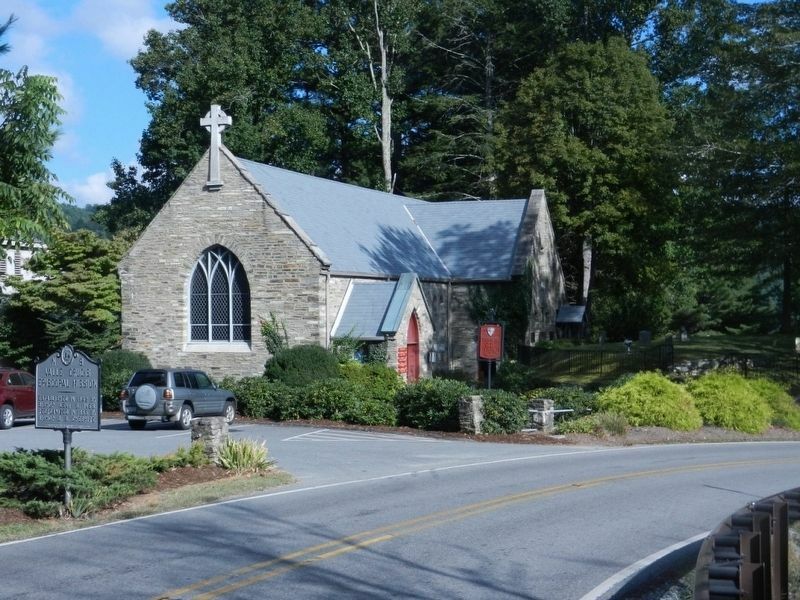 Marker is in this post office area: Valle Crucis NC 28691, United States of America. Touch for directions. Other nearby markers. At least 8 other markers are within 6 miles of this marker, measured as the crow flies. Camp Mast (approx. 4.6 miles away); Cove Creek High School (approx. 4.6 miles away); Military Veterans of Western Watauga County (approx. 4.6 miles away); Shepherd M. Dugger (approx. 5.3 miles away); Lees-McRae College (approx. 5.3 miles away); Banner Elk (approx. 5.3 miles away); Stanley Harris (approx. 5.7 miles away); Elliott Daingerfield (approx. 5.9 miles away). More. 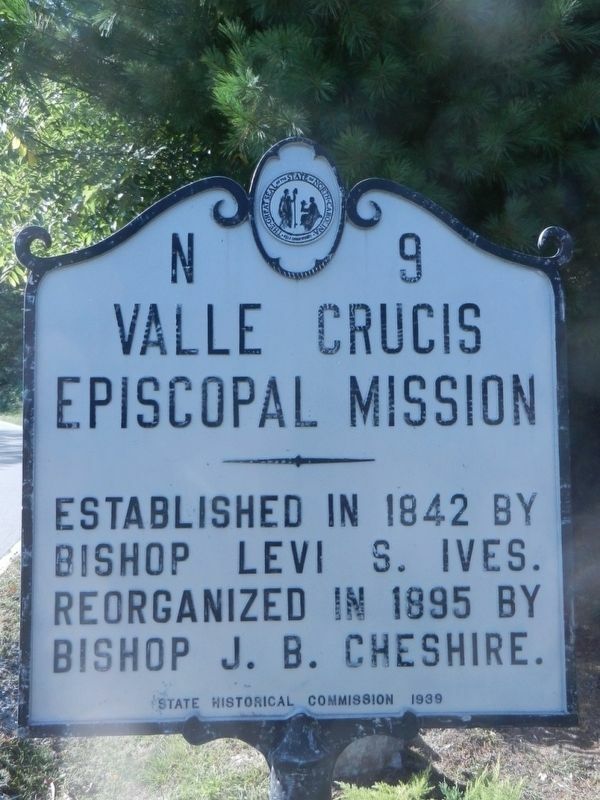 Search the internet for Valle Crucis Episcopal Mission. Credits. This page was last revised on October 14, 2016. This page originally submitted on October 8, 2016, by Michael C. Wilcox of Winston-Salem, North Carolina. This page has been viewed 161 times since then and 7 times this year. Photos: 1, 2, 3. submitted on October 8, 2016, by Michael C. Wilcox of Winston-Salem, North Carolina. • Bernard Fisher was the editor who published this page.